Started a RAISED bed garden. I’ve wanted to start a raised/square foot garden for years. I’ve tried to wait till we found a place on our own. Well, two failed moves later and no homes for sale at the moment that we even would consider. I’ve started one. Just one, so I can get the hang of it. I had originally wanted to use an old dinning table that my cousin and his wife were getting rid of. BUUUUT, waited to long to ask if I could have it and they had taken it to the waste drop off place. Oh well, was able to use some scrap wood. An hour of cutting and screwing together and we had a table with lips. 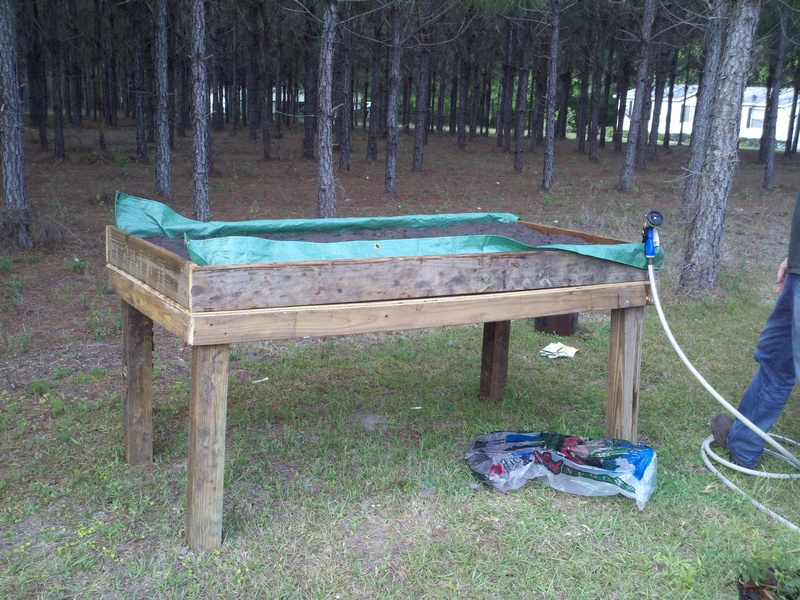 The base we used wasn’t treated, so I used an extra piece of tarp we had to the bottom and sides. Heres a picture, the bottom right corner shows a tomato plant we bought and repotted. did two pots from seeds. But I just did those a couple days ago, so pics would just be of dirt. This round. I planted Green Beans, cucumbers, zucchini, 3 types of salad stuff, beets and carrots. 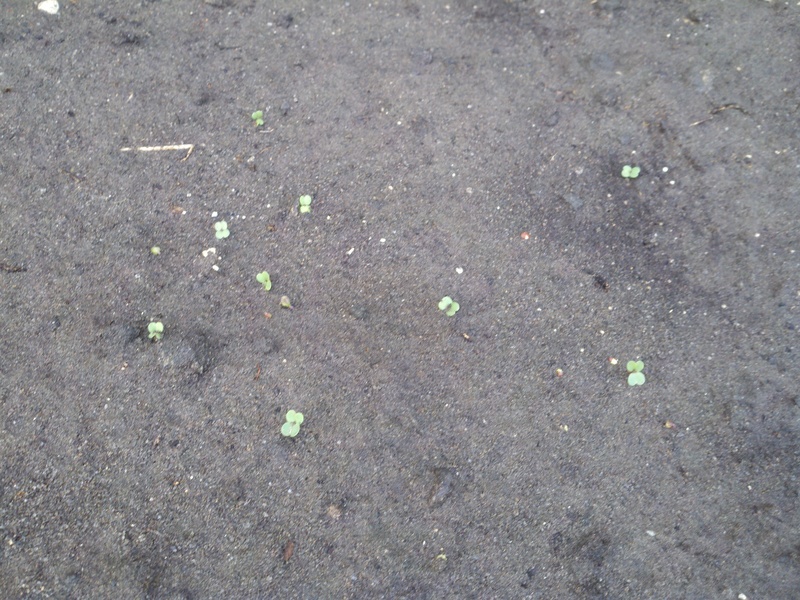 I planted all my seeds a week and a half ago and over the weekend I found a few sprouts all ready from my mixed greens area, yeah.